Innovation isn’t about a single eureka moment; it’s about a series of thoughts and connections that combine to create something new. Einstein didn’t sit in a darkened room waiting for inspiration; he had a team of people working with him, systematically making new connections. Not every connection will work but failing quickly and learning is crucial to any successful innovation process. However, the wider you cast your net in your search for inspiration, the more you move away from your current, tried and tested patterns of thinking, the more previously unconnected connections you are likely to make and the more chance you have of coming up with something new. Where else in the world is your challenge is faced? Consider what solutions you can borrow, or in the words of business management writer Tom Peters ‘swipe with glee’. The particular challenges you are facing will have been solved elsewhere. So look outside of what you currently know, identify how others are solving your challenge, learn from them and apply it to your particular situation. It’s not about just copying like for like but finding common principles that you can adapt for your needs. The Showcase of Fundraising Innovation and Inspiration is a great place to find fundraising inspiration that you can adapt, but you also need to look wider, for example the corporate sector, diverse industries, art, science, history and nature. Search for examples of ‘where in the world?’ that don’t necessarily relate to your challenge directly. It’s about making new connections. You don’t know what you don’t know – until you try. ▪ Pharmaceutical company Johnson & Johnson teamed up with tent makers to develop ways to bond body tissue after operations. ▪ In the early 90s when the use of aerosols was being discouraged due to the impact on the environment, deodorant companies were inspired by the roller ball pen to spread liquid over a thin area which led to the development of roll on deodorant. ▪ Johann Gutenberg invented the printing press developed from the technology of the screw-type wine presses of the Rhine Valley. An inspirational example of the ‘where in the world’ approach is ColaLife. In 1988 Simon Berry was a development worker in remote northeast Zambia. He was bemused that he could buy Coca-Cola everywhere, yet aid organisations struggled to get medical supplies to rural areas. 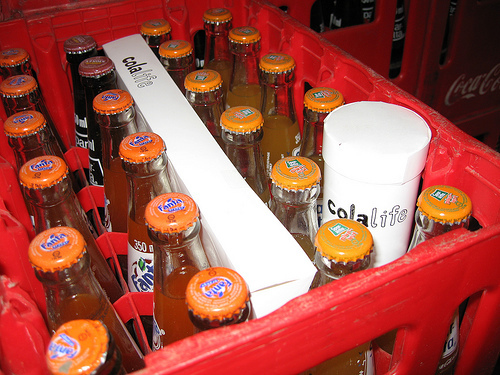 ColaLife identified that part of Coca-Cola’s core business (i.e. the business they were really in), was not soft drink production but logistics and distribution networks. The Coca-Cola company trains and provides transportation to networks of local entrepreneurs in order to get the soft drink to the far reaches of the world. 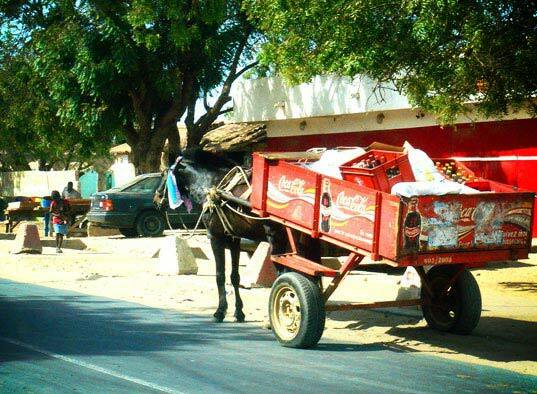 Coca-Cola is delivered by a variety of carts, bikes and on foot to rural areas. One in every five children die before their fifth birthday from simple causes such as dehydration through diarrhea. If aid agencies could tap into, or learn from Coca-Cola’s distribution networks it would make a huge difference to the lives of children in Africa. 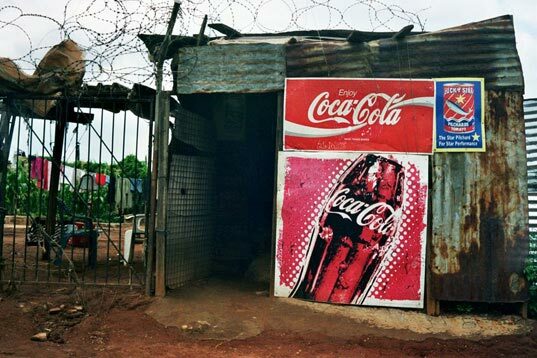 So one solution is for aid agencies to replicate Coca-Cola’s distribution model and develop their own local networks of trained and equipped entrepreneurs. Good idea. But Colalife have taken this a step further, they are negotiating with Coca-Cola and the local entrepreneurs who distribute the drink to see how they can use their deliveries to get life saving medicines to the children that need it. ColaLife are now piloting this model in Zambia. You can read more on the ColaLife blog or their Facebook page. When was the last time you were inspired by a business outside your ‘normal’ remit? This entry was posted in failure, fundraising, Innovation, Inspiration, social media, SOFII - Showcase of Fundraising Innovation and Inspiration and tagged challenge, charity, coca-cola, coke, colalife, communities, connected, connectedness, connection, distribution, drink, edison, einstein, eureka, facebook, fundraising, ideas, Innovation, inspired, logistics, NCVO, perspective, printing press, sticky, stories, swipe, tom peters, wisdom, zambia. Bookmark the permalink.